Organized by Ricardo Strategic Consulting as its inaugural conference on the future of transportation, Advanced Mobility 2025 will provide deep insights on the technology and commercial readiness of the transportation industry to meet the emerging opportunities for people and goods movement. With a focus on the expected deployments for connectivity, transportation services and autonomy by 2025, the event will be presented as a workshop style conference with attendees limited to approximately 100 to facilitate truly effective discussions and valuable networking. This two-day event will gather industry in advanced mobility to discuss and understand the realities of future urban mobility and goods movement. The conference will specifically focus on the expected level of mobility which can be achieved by 2025 and the key enablers in terms of innovations in on-board and off-board vehicle technologies, investments and policy changes required to make this happen. Sessions will involve key note presentations and interactive panel discussions on technology roadmaps, market requirements and business case for services. Topics will include technology developments and requirements from vehicle OEMs, new entrants and suppliers, the role of government regulation and investments, cost-benefit scenarios and consumer behavioural patterns for mobility preferences. The provisional agenda includes an opening day focusing upon the Ricardo vision for urban mobility, including sessions on consumer needs and behaviours, connectivity and cyber security, and investment, innovation and policy. The second day will move the focus on to the needs of goods transportation, with sessions on the challenges and needs of the trucking industry, connectivity, internet of things and cyber security, and opportunities for platooning and autonomous technology innovations for vehicle manufacturers and fleet operators. 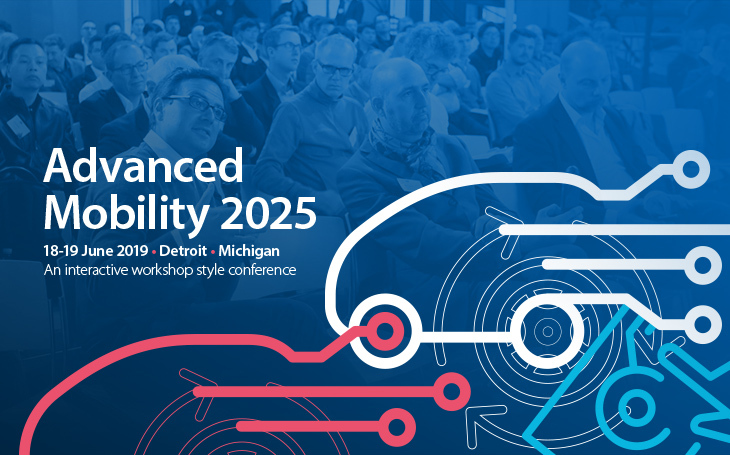 Delegate registrations are now open for Advanced Mobility 2025 with a special early-bird rate available for the first 25 delegates to register. With limited places available, early registration is advised. For further information about attending Advanced Mobility 2025 and for updates on the agenda, visit www.ricardo.com/AM2025.